Happy Sparkling Chinese New Year 2014! Hope everyone having great time with families and friends. I seriously having fun on this Chinese New Year because it's all about food, red packets ($$$) and also holiday. Chinese New Year is a very good reason to keep on putting foods into mouth without getting scold but have to pay the price for it. Hands up if you're gained weight like me?! Is time to DIET! NO.....!!! Anyway, did everyone notice nowadays the weather are so freaking humid? It's so hot till I gonna melt!! However, please do not simply turn on air-conditioner. Support eco my friends!! 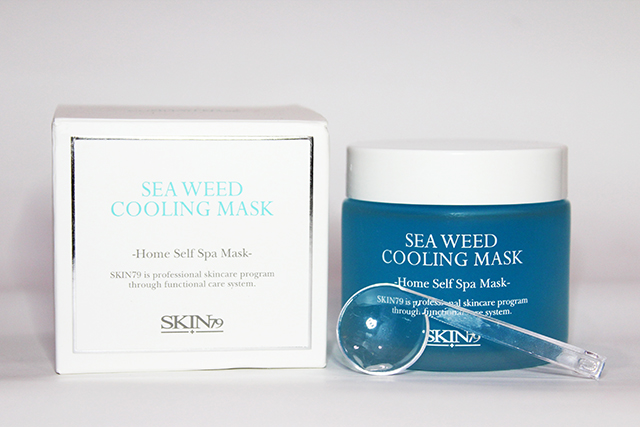 Today I would like to do review on my recent favorite mask from SKIN79 Sea Weed Cooling Mask. This mask is so perfect for this moment. SKIN79 Sea Weed Cooling Mask comes in a matte glass and a unique stick aka spatula. The size of this mask is like a normal moisturizer kind of size. The spatula is cute and unique and it's reminds me the combination of number seven and number nine. I'm not sure does is the concept design behind of it but can on behalf of it. • suitable for all skin types including brittle, sensitive and thin skin. • maintains the skin healthy by providing freshness and sufficient moisture. After washing face, apply a thick layer all over the face and rinse off with lukewarm water on the next day. 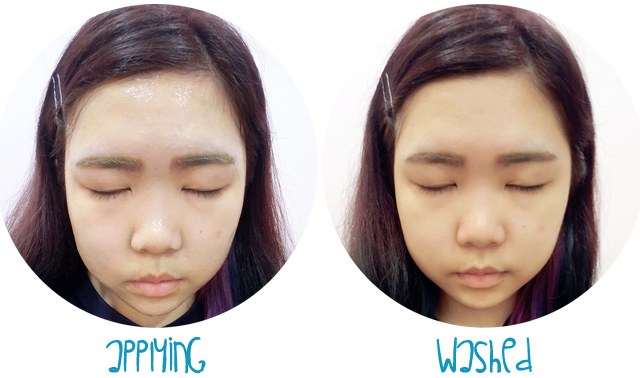 After cleansing and apply a thick layer of mask to the skin avoiding eye and lip area. 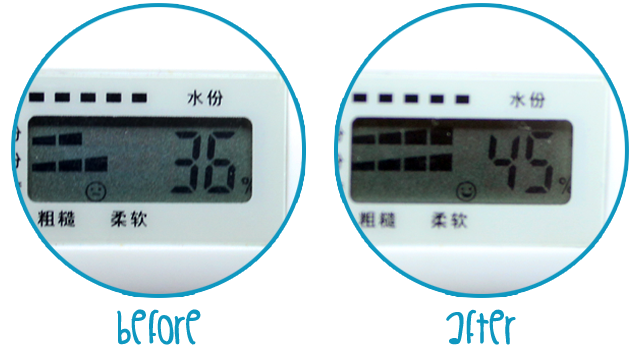 Rinse thoroughly after 10-15 minutes with lukewarm water. 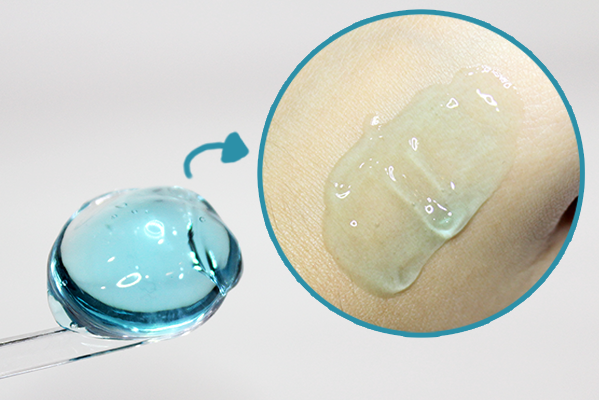 The consistency of this mask is of course gel, with light blue transparent color, kind of jelly gel type. The texture of this mask doesn't feel sticky or greasy while it is easy to apply with only finger yet very fast to penetrate and absorb to skin that slightly cools the skin which makes the skin feels refreshing, no-burden and soothing. Besides that, this mask has a nice light fragrance scent, kinds of combination of h20 and Aloe-vera with a slight fragrance together. The scent can helps to relaxing ambiance when put this mask on. As I mentioned in description box above, this mask can be uses as sleeping mask or treatment mask. If you're treat this mask as your treatment mask, recommend to apply a thick layer all over face avoiding eye area, so this mask can boost the moisture level more. Trust me! Although a thick layer on face, skin still feels fresh and "thin" because of it's gel consistency. It's really refreshing and soothing with slightly cool effect on face. This mask is easy to blend with only finger, of course also with spatula. This mask is also easy to remove with lukewarm water. hi,,,packaging look less attractive, but there is a very big benefit at all. if the mask is put in the fridge beforehand would be more fun, make more fresh faces. thank you have loaded and tried direct skin mask 79, very useful. regards the introduction of O SALON Jakarta, to meet again in the next article. What 'I' Do All Day? [Event] Philosophy is landed to Malaysia!